I have a layout up on the Scrapbook Circle blog today that is my favorite type of layout to make! 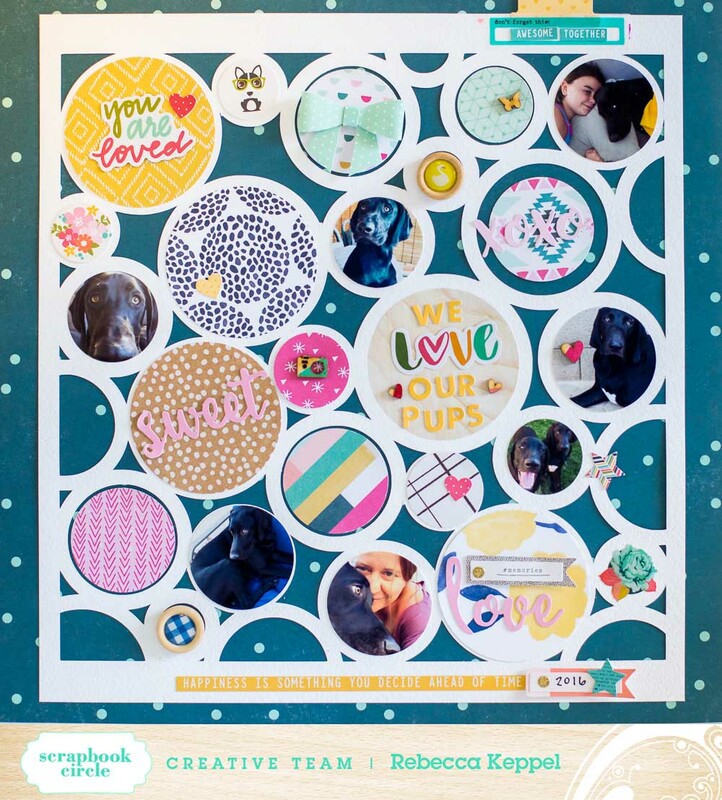 I love die cutting a background from white cardstock using my Silhouette Cameo and then filling the open spaces with different patterned papers, embellishments and photos. I love making this type of layout with Scrapbook Circle kits because they always include lots of different types of embellishments and stickers. 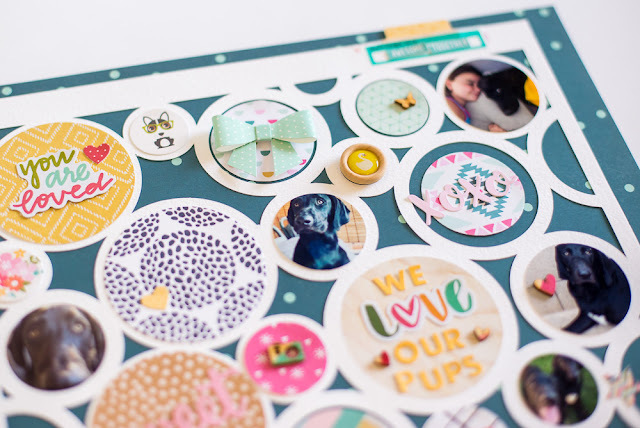 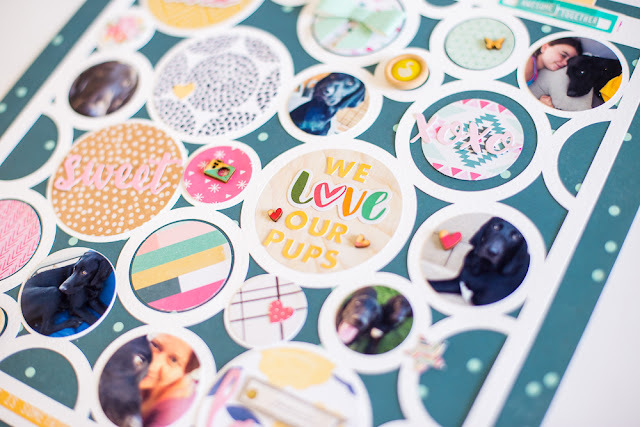 Scrapbook Circle consistently gives you the entire package of embellishments too!